Aplications : Primarily an adjustable loop for moorings, guy-lines, etc., the midshipman's hitch has even been suggested (minus the final half-hitch) as a quick way to attach yourself to a life-line in an emergency. In a situation of this kind, grip the working end to the standing part with at least one hand. 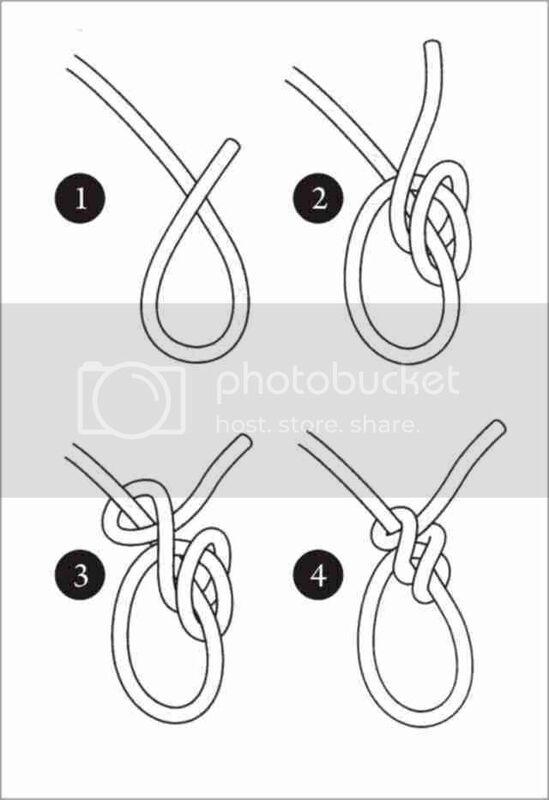 Method : Tie a rolling hitch (see rolling hitch) onto the standing part of the line (1-4). Carefully arranged, it should neither slip nor jam.To make the hitch semi-permanent, tape or knot the end to the adjacent rope. History : The name of this early slide-and-grip knot suggests a naval origin, and, as the rank of midshipman was a lowly one, it may be that it was a derogatory term for an underrated knot. Thank you and looking for more posts; I enjoyed reading them, informative. Cheers!